An engine control unit (ECU) is essentially the “electronic brain” that makes sure your engine is always operating at the top of its game. In order to accomplish this feat, an ECU has to parse data from a lot of different sensor inputs. It then provides output signals to various other components that affect the way that they operate. Electronic control units can be simple or extremely complex, and many early electronic engine controls even used hybrid digital/analog systems. 3 What Does an ECU Really Control? There is no standardization in the naming schemes of engine control units, which can lead to some level of confusion. In fact, the acronym “ECU” can also stand for “electronic control unit,” which refers to any embedded system that’s responsible for the operation of the various electronically-controlled systems that are found in modern vehicles. Electronic control units are often open on the back, although some are encased in epoxy for extra protection. Although engine control units go by a lot of different names and alphabet soup acronyms, they are typically referred to as “control units” or “control modules.” In addition to “engine control unit,” another common umbrella term is “powertrain control module,” or PCM. When that term is used, the unit typically controls both the engine and the transmission. 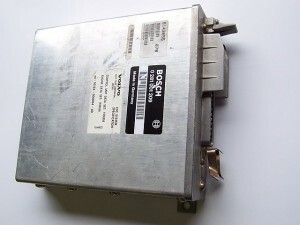 Additionally, some OEMs refer to specific ECUs by their own names. 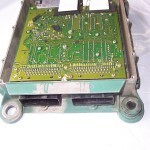 For instance, Ford has used a series of electronic engine control (EEC) units that started with EEC-I. Today, they are up to EEC-VI. Other examples include Nissan’s electronic concentrated control system (EECS) and Chrysler’s single module engine controller (SMEC) and single board engine controller (SBEC) systems. Before the widespread use of electronic controls in automobiles, everything had to be controlled mechanically. These early engine controls utilized inputs like temperatures, vacuum levels, and other inputs to mechanically adjust things like fuel mixture and timing. When electronic controls first started showing up, they were integrated with existing mechanical systems. This led to the hybrid digital/analog control systems that saw widespread use during the 1980s. The sensors in these systems were all analog in nature, but an electronic ROM chip would hold date in lookup tables. This data could then be used to activate various mechanical engine controls. The rapid development of electronic engine controls can probably be traced to environmental regulations. 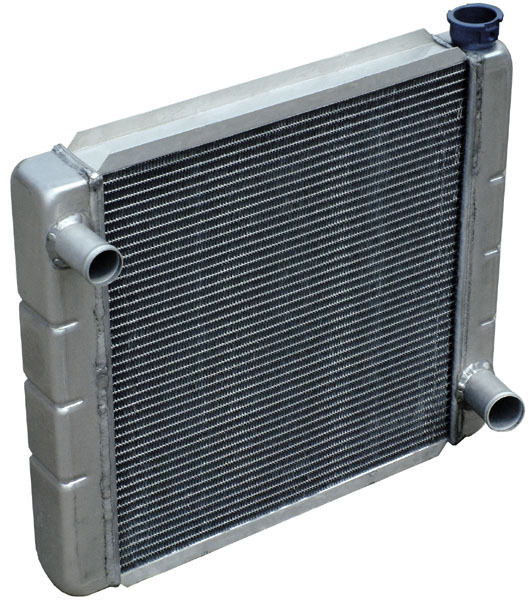 Emission control devices like catalytic converters went a long way toward reducing emissions, but electronic controls allowed for much tighter, more efficient engine operations. Although electronic engine controls, and especially hybrid systems, were used together with carburetors, the drive for lower emissions also led to the industry-wide switch to fuel injection. In these systems, the new engine control units were able to exert even tighter control over the air/fuel mixture in direct response to the current driving conditions at any given time. What Does an ECU Really Control? Engine control units typically control the fuel injectors if they are present. Early ECUs, including hybrid systems, used simple lookup tables. This process involved checking an input against a table and then providing an output based on the corresponding value in the table. Of course, the major disadvantage there is that the lookup tables are based on a brand new engine that is operating at peak efficiency. In order to deal with real world driving conditions, modern ECUs are capable of performing much more complicated analysis and computation of the inputs that they receive. In addition to directly controlling various engine system operations via its output signals, an ECU will often provide output parameters to other control units. Transmission control units, in particular, often rely on inputs from an ECU to ensure proper operation. Since an engine control unit is responsible for the overall operation of an engine, a failure can be both sudden and catastrophic. 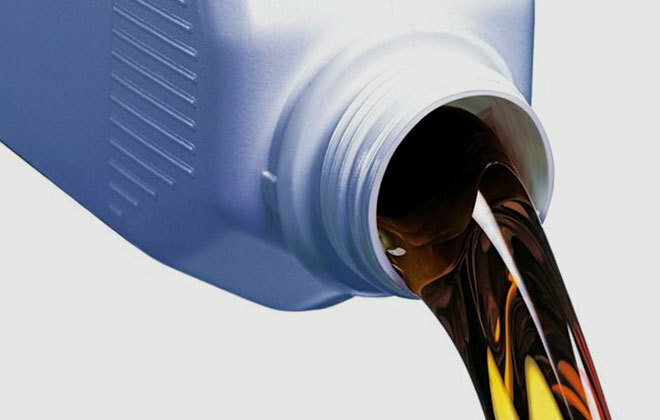 If the ECU is bad, an engine may run very poorly or fail to start at all. Of course, ECU failure is relatively uncommon when weighed against the failures of all of the components that it controls and the sensors that it receives inputs from. If ECU failure is suspected, it’s important to check the relevant sensors and other systems before coming to a conclusion. This is due to the fact that while electronic control units are often easy to replace, they are rarely inexpensive. Some other factors that can mimic a failed ECU include bad or corroded grounds, corroded or burnt wires, and other similar issues. Next story What is an Automotive Service Technician? 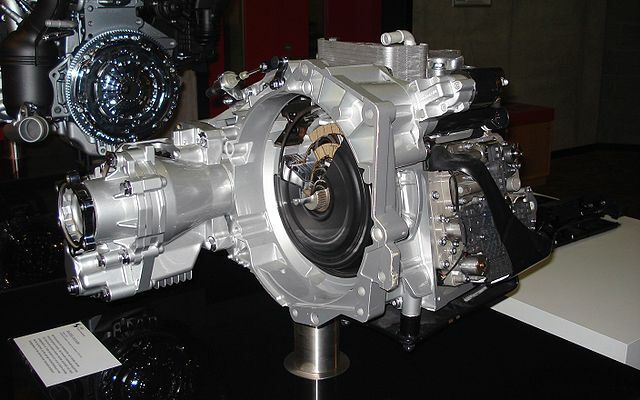 Previous story What is a Transmission Control Unit?